Team work. 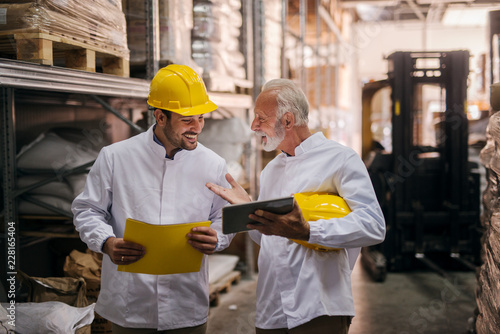 Picture of two man warehouse employes smiling and looking together at digital tablet. Older college is learning younger one how to solve a problem.Standing in big warehouse.